Just prior to the 2013 IPCPR Trade Show, Nat Sherman released the Nat Sherman 1930 Collection. This is the third blend and second collection of cigars by Nat Sherman since Michael Herklots joined the company back in 2011. The Nat Sherman 1930 Collection pays homage to the year the Nat Sherman brand. In a lot of ways, the Nat Sherman 1930 is going to deliver an experience that delivers an old school smoke – and this is very appropriate when celebrating a company that was founded 83 years ago. At the same time, this cigar delivers something bolder than many are used to by Nat Sherman. Overall, this is going to deliver an outstanding cigar experience. For the Nat Sherman 1930 Collection, the company once again collaborates with the MATASA factory in the Dominican Republic. MATASA has collaborated on several blends for Nat Sherman in the past, most recently the Dominican version of the Timeless Collection. While this is the same factory, it is a different blend – and a very different experience. Without further ado, let’s break down the Nat Sherman 1930 Collection and see what this cigar brings to the table. The 1930 Collection will feature mix of Dominican and Nicaraguan tobaccos. The 1930 Collection will be launched in five sizes – and available in boxes of 24. 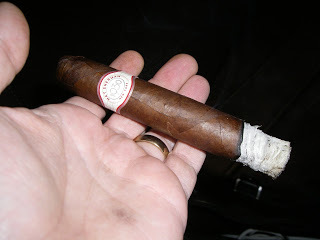 For this cigar assessment, I smoked the Gran Robusto. The Nat Sherman 1930’s Dominican wrapper can best be described as a cross between roasted coffee bean brown with a strong colorado red tint to it. The wrappers on the cigars I smoked definitely had an oily complexion. There are also some wrapper seams and some veins that are visible. The band features the text “1930” in silver surrounded by a thin silver oval. Surrounding the oval is the text “NAT SHERMAN” on the top in red font. On the lower end of the oval is the text “NEW YORK” in smaller red font. There is a dark ivory colored pattern around the rest of the band that has almost a concentric effect from the inner oval surrounding the 1930 text. The band has red and silver trim around the edges. For my cigar experience of the Nat Sherman 1930, I went with a straight cut to remove the cap. Once the cap was clipped, I proceeded to begin the pre-light draw. The dry draw notes provided a mix of leather and spice. Overall, I didn’t consider this to be the most exciting pre-light draw, but it wasn’t a bad one either. At this point, I was ready to fire up my Nat Sherman 1930 Collection cigar and see what the actual smoking experience would bring to the table. The Nat Sherman 1930 Collection is not going to deliver a flavor profile with a lot of flavor transitions, however this is going to be one of those cigars that delivers great flavor – and will keep you coming back for more. The start to the Nat Sherman 1930 delivered a combination of unsweetened natural tobacco and spice. The spice has a slightly exotic pepper quality to it. The pepper quickly receded to a secondary note. As the cigar experience moved through the early stages, some sweetness emerged. The sweetness had a sugar cane quality to it, and it played more of a complementary role to the natural tobacco notes. I also picked up a slight mesquite flavor as a tertiary note. Meanwhile the retro-hale provided the nice pepper spice – a touch on the exotic spice side. The second half of the Nat Sherman 1930 saw the pepper flavor increase and it pretty much went on par with the natural tobacco notes. While there was an increase in spice, the cigar never got harsh. Meanwhile the sugar cane sweetness and mesquite flavor, while still subtle provided a nice balance to the flavors. The resulting nub was outstanding – firm to the touch and cool in temperature. Not only does the Nat Sherman 1930 have impeccable construction, but it scores very well in terms of burn and draw. From a burn standpoint, the burn line of the Nat Sherman 1930 was sharp each time I smoked this cigar – requiring minimal touch-ups. The resulting ash was firm with a nice salt and pepper color to it. The burn rate and burn temperature were both ideal. The draw was outstanding. It had a touch of resistance to it – something I consider ideal in my book. This made the Nat Sherman 1930 an excellent cigar to puff on from start to finish. From a strength perspective, the Nat Sherman 1930 Collection is going to have some more kick than most Nat Sherman cigars. I found the strength of this cigar to fall in the medium to full range – and there were times it came close to a full strength cigar. As for the body, I found the flavors had some nice depth to them. I found there was enough depth to qualify this cigar as a full-bodied cigar. 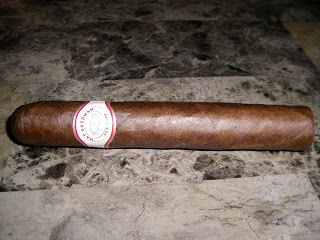 While I gave a slight edge for flavor, there still is enough strength in this cigar to be noticed. The job that Herklots has done at Nat Sherman taking them to the next level has been nothing short of amazing. While the two blends of the Timeless Collection were big hits, the 1930 Collection proves that Timeless Collection was not a one/two hit wonder. This is a very interesting smoke. While it isn’t the most complex cigar, it is a cigar that delivers a total cigar smoking experience. This is a cigar I’d probably steer the more experienced cigar smoker to. As for myself, this is a very good cigar, and certainly one that I would smoke again and even consider a box purchase for.